Hummus sounds exotic but it’s really just a simple puree of chickpeas. It’s also a nutritious dish and so easy to make. 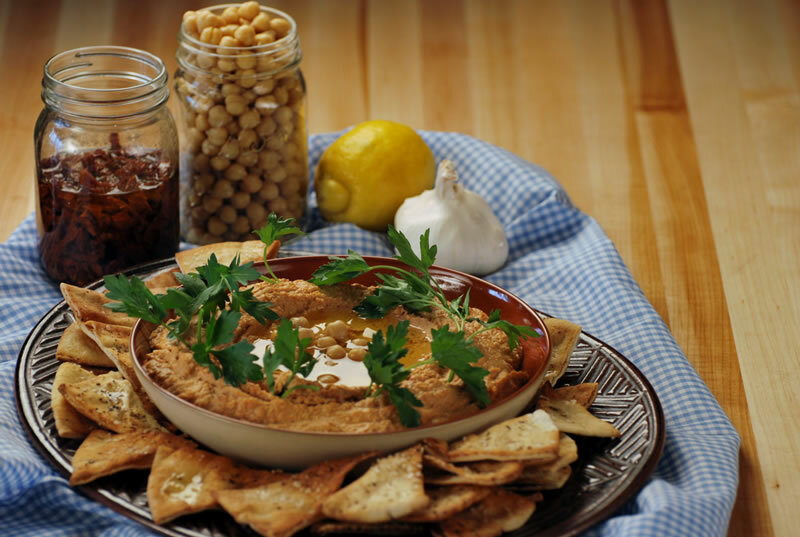 If you can puree chickpeas, you’ve got the basics and you’re ready to add some zesty twists and whip up your own signature dip! 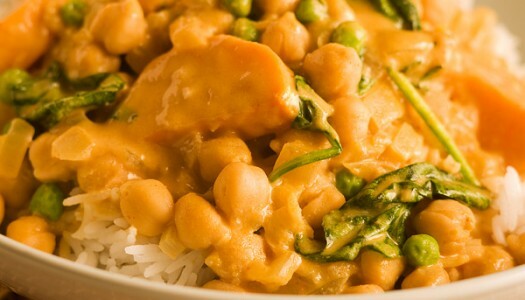 Puree the chickpeas in your blender or food processor. Add tahini, yogurt, hot sauce, lemon juice and zest, garlic, salt and pepper. Keep pureeing and add tomatoes. Check your consistency here and if you prefer add a bit more yogurt or a little splash of water to thin the texture. Now taste and adjust your seasoning and you’re ready for the dippers! Whisk the oil and honey together and brush both sides of each of the pita chips. Sprinkle with salt and pepper. Cut in 6 or 8 wedges, transfer to a cookie tray and bake until they begin to turn golden brown, about 10 minutes or so. Begin peaking in the oven every minute or so until the chips and continue baking until all the chips are evenly golden brown, not just the ones on the edge. Remove any that finish ahead of the pack and keep tanning the rest. Now you’re ready to dip and share! Freestyle Twist: This basic recipe is ripe for twists! Add some pesto, tapenade, black olives or roasted red peppers to the blend. Maybe toss in a bunch of fresh herbs like cilantro, basil or parsley. If you omit the sun-dried tomatoes in oil, add about a half cup (125 ml) of olive oil instead. Whatever twists you choose you will have a zesty, ready to serve dip that will keep in the refrigerator for about a week! This is one of our all-time favourite dishes, a brightly flavoured bowl of half stew, half soup and all flavour. 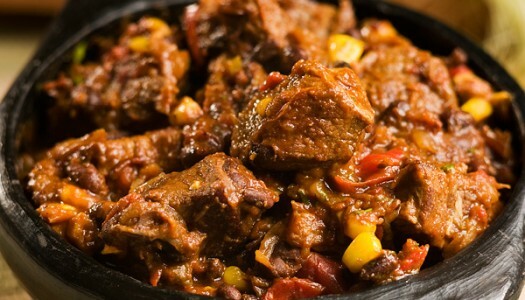 Its spicy aromas are so tasty and addictive that you’ll never notice it doesn’t include meat. This dish is at its best when it’s served over rice.